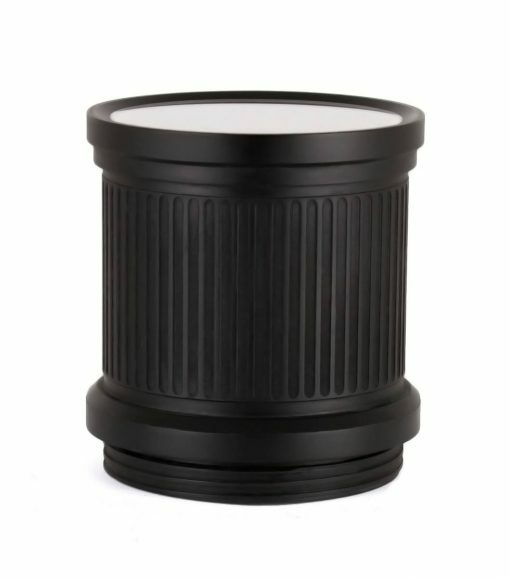 The Liquid Eye M-LP 145 Lens Port is used with a range of Canon, Nikon and other lenses. It is designed for use with prime lenses that measure less than 144 mm in physical length. Our M-LP Lens Ports feature a threaded system that is interchangeable with our C2050, C1795, and C1892 Water Housings. No tools are required to attach or remove the port. The Element is replaceable, so if damaged, please contact Liquid Eye.